I have a new facebook page! If you’d like to stay up to date with all my musical activities, then please press ‘like’/’follow’ and updates should automatically be shown on your newsfeed (I’m still fairly new to how this all works, so please forgive my technical ignorance!) You can also send me messages about professional enquiries (no spam please). I will be using the page to post news, concerts I’m doing, teaching hints and tips, and to share any other local events that I’d like my students to know about and/or attend if possible! 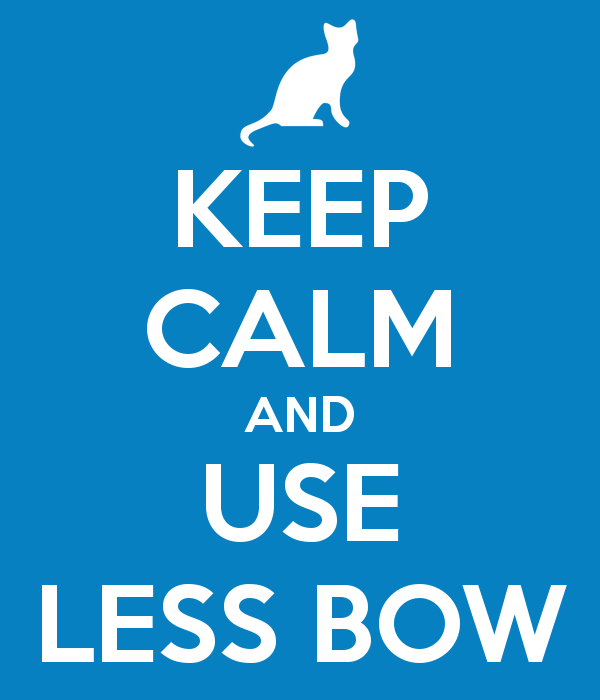 This entry was posted in News, St Andrews Music, viola playing and tagged Facebook page, Jess Wyatt Viola, Keep Calm and Use Less Bow, Meme, Playing viola, Playing violin, Poster generator, teaching on November 22, 2015 by jesswyatt. Hello, and sorry this blog has been so sadly neglected for so long. But it’s a new year, and with it I have resolved to do more creative things such as writing and playing, so I hope I can keep this up! 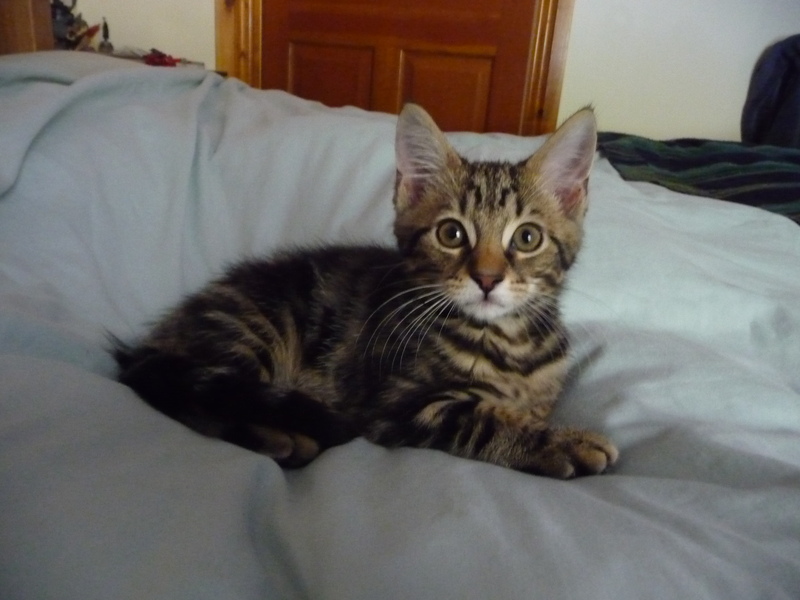 A few important things have happened since I last blogged… Firstly, I finally managed to persuade Alex into us getting a kitten (from cats protection in Dundee), and we’ve had him since the end of September. His name is Monty, and he’s an incredibly sweet and handsome tabby who manages to get into all kinds of scrapes and has bags of character. 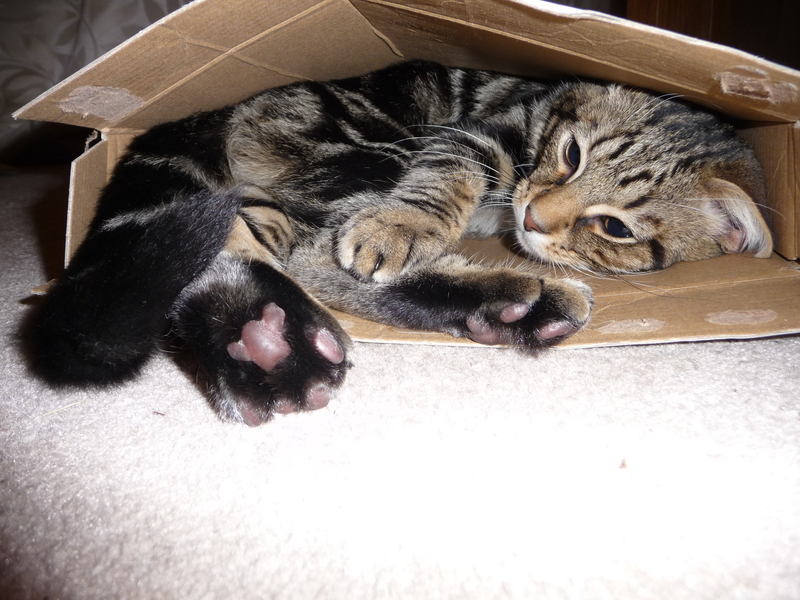 We call him alternately ‘the tabby terror’, ‘monty the monster’ and ‘the cutest thing my eyes have ever seen’! He loves climbing things, especially doors, the christmas tree and bookshelves, knocking things off and drinking water from my glass… Daft as a brush. See what I mean? This one was taken when he was quite young (we got him at 10 weeks), and the one below is quite recent – he’s now a ‘mature’ (ha!) kitten of 5 and a half months. Secondly, I’ve managed to land a part time job in St Andrews, which is great. It’s not music related, as it’s a research assistant position in the medical school, but it will be using some of the skills I learnt in my anthropology degree which will be good, and it is only half time so I’ll still have time for music things and teaching. It is looking into doctor and nurses’ attitudes to obesity and how obesity is managed in primary care, so it should be pretty interesting and is of course highly relevant to what is happening in society at the moment. Children often behave better when their parents aren’t in the room. I”ve had tears and tantrums, but mostly only when the parent is present. I think it is easier for them to concentrate when their parents aren’t there as they are forced to think about what I’m saying. Beginners are much harder to teach than someone who has already learnt the basics. There is a fairly limited range of things to say to someone who is taking their first steps on a string instrument, and it is a pretty difficult thing for a young child to learn as it involves so much co-ordination and concentration. When someone has progressed beyond holding the instrument and bow correctly and making a decent sound, then it is much easier to start talking about musical things and subtler points of technique. For a child, 40-45 minutes is the optimal length of a lesson (shorter for a younger child of about 8). Shorter than this, it is difficult to get anything done by the time they have fetched and got out their instrument and music etc (especially when I teach at the child’s house – they are often still eating or watching TV when I arrive), I have tuned their violin and we’ve caught up a bit. Longer than this and they start to lose concentration and start getting tired. In 40 minutes you feel as if you can really get into something without overwhelming the child with all you’ve said. If you have planned, say, an hour’s lesson, don’t think that it will actually *take* an hour, unless you cut the lesson short (see above). Parents will often want (sometimes a quite detailed) account of the lesson, what the child needs to practice and how they are doing – and even if the lesson itself is only an hour, by the time you have chatted to the parents on the way in and debriefed them on the way out, it is often an hour and 10 minutes at least (especially if you are visiting someone’s house). If a pupil is late or if I am late I will always give them the full time, even if this makes me late for the next person. the bow hold, especially bending the thumb on the bow – this seems to be a common problem, and is particularly hard for double-jointed kids. There are aids you can buy to help solve this, but I haven’t tried them yet. Tuning is always an issue – at the moment, I am divided between not using markers on the fingerboard as it helps them memorise the hand shapes, and using them so that they always play in tune… I think it varies child by child as to how quickly they pick up what ‘in tune’ is and how good their ear is. 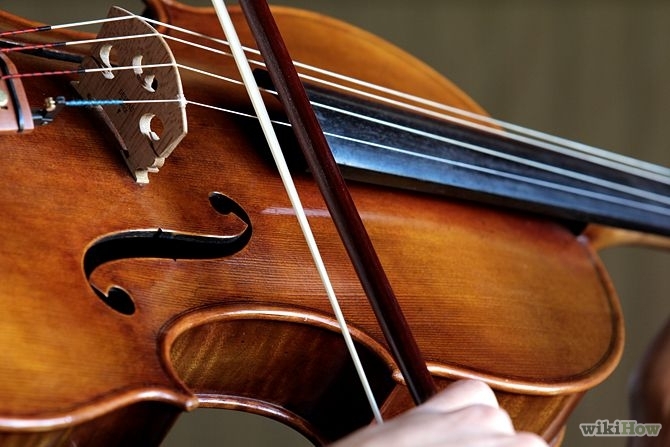 Having the left thumb vertically too far up the neck of the violin and the palm hugging the neck, and therefore making it difficult to stretch for 4th fingers and shift. My first teacher called this ‘squashing the hamster’ – imagine there is a hamster on the palm of your left hand, and squashing your palm against the neck of the violin will squish the hamster! I’d love to hear stories from other teachers of successes or what they find difficult. I’ve been looking for courses on string teaching, but not found anything suitable, so if anyone has any ideas then please please let me know! Lastly, if you made it this far, here’s a fascinating article about a conductor who took his orchestra to North Korea. This entry was posted in Classical Music, News and tagged children, kittens, learning the violin, music for early years, new year, teaching on January 5, 2013 by jesswyatt. I’ve decided to change the name of this blog as you will see, as I have now graduated from the RSAMD (which has now changed its name and rebranded itself as the Royal Conservatoire of Scotland or RCS – rather pretentious, don’t you think?) So, since I am now technically a freelance musician ‘living the freelance dream’ (as I heard one player ironically term it) I thought it would be good for me to continue blogging about my experiences. Since the wedding I’ve been living in Crail with my husband (eee, I can say that!) and trying to find work, not only as a musician but also through a temp agency and sending CVs to various companies (I also have a degree in social anthropology). I’ve also put up a few adverts for private violin and viola tuition, as it would be good to have a few pupils locally. (If you know anyone who is looking for lessons and lives within reach of Fife, Scotland, then please please point them in my direction – see the About me page for contact details). As a result of flinging CVs at all the Scottish orchestras when I graduated, I have an extras audition with the RSNO on 31st Oct, which should at least get me noticed if nothing else (extras are called when players are off sick or the section needs beefing up, but they always have more people on the list than the need, and new people usually land at the bottom). I have also arranged to play at a lunchtime concert in the Younger Hall in St Andrews with my friend and excellent pianist Audrey Innes on Feb 1st 2012. We’re going to play Rebecca Clarke’s fiery Sonata for viola and piano, which you can see and hear on youtube being playing in the same venue by violist Michael Kugel here. Apart from a Heisenberg concert in the Younger Hall on Sunday Oct 30th, that’s my lot at the moment. 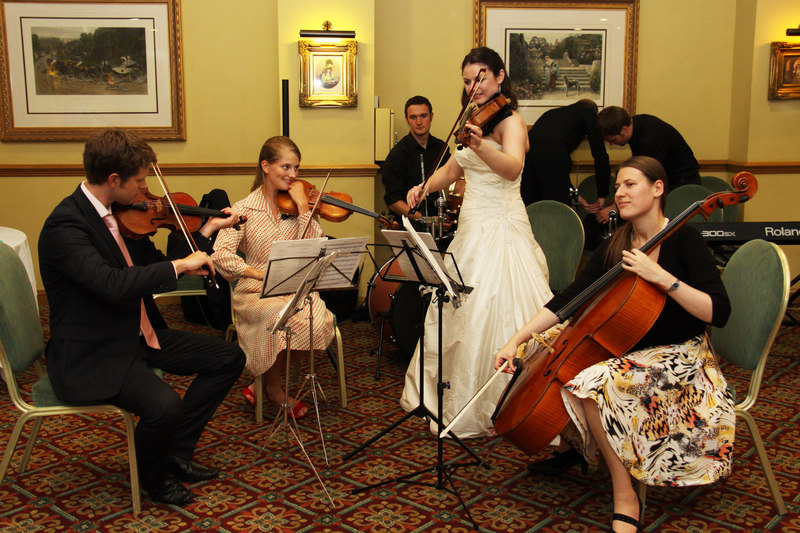 Anybody out there with a band that needs string players, or a quartet missing a viola player, then please get in touch! This entry was posted in auditions, Concerts, viola playing, weddings and tagged Auditions, concerts, RSNO, teaching on October 19, 2011 by jesswyatt.